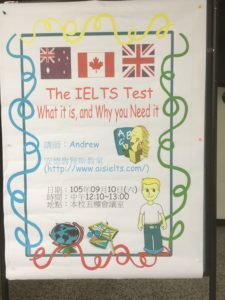 Hello, my name is Teacher Andrew, and I’d like to welcome you to my IELTS and English website (and I’ve even included some relaxing music to help you think better [just click above]). … if you want a mountain of specially designed IELTS practice, information, and advice. Scroll to the bottom of this page for more information about this, and if you want IELTS Hints & Advice delivered directly to your email, click on WELCOME TO OUR NEWSLETTER (here, or on the tab at the top of this page), and sign up! 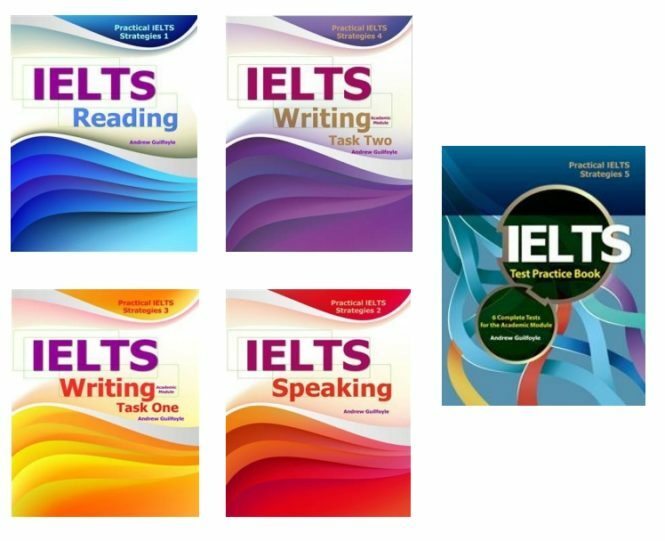 It’s all free, and it’s all the key to IELTS 7! 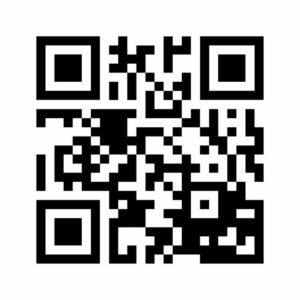 As for this website you are looking at, you can know more about me by clicking ‘About Me’. Right now, I can tell you that I’ve worked for many years in Taiwan, and in that time actually helped establish many other IELTS preparation schools here in Taipei. 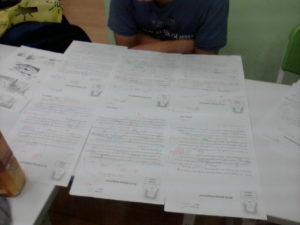 I’ve also written six IELTS books [see above picture], and taught all IELTS skills using ‘my system’. Giving an IELTS Seminar to the public quite a few years back. This is a system developed over 20 years, and produces good results; and many schools, websites, and self-proclaimed experts are now using these ideas of mine. I even heard someone explaining some of them on the radio! I could feel flattered by this; however, the advice, information, and approach, is often misunderstood, misapplied, misused, and overused – and that’s the problem. So please, explore this website, and explore the true way to use my ideas, given by its actual author, in the way that will truly help you in English and the IELTS test. Nice hand-made promotional poster for my IELTS seminar at Shin-Bei High School. One final word. Notice that this ‘welcome message’ is in English (with a little Chinese to guide you) (as are my IELTS books). Yes, if you want to achieve well in an English language test, you need to begin practising reading English for real. A preparation source written mostly in Chinese is immediately dubious. 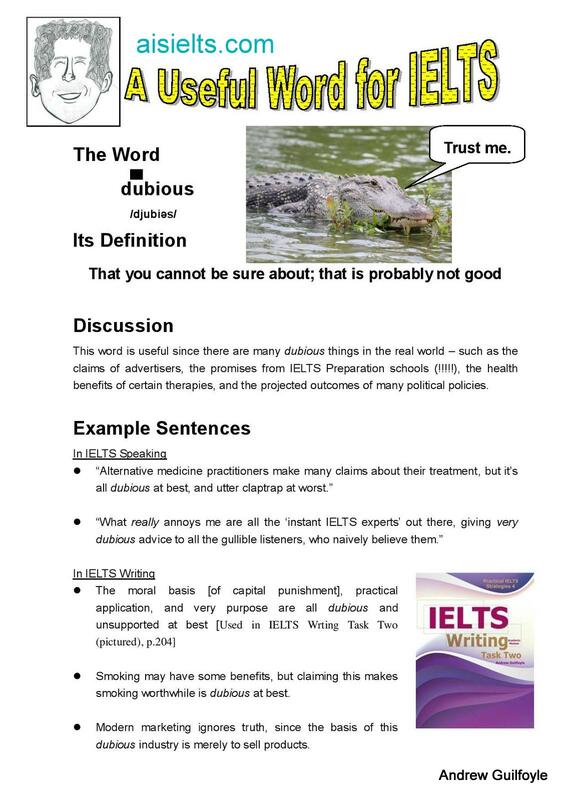 Now, look up ‘dubious’ in your dictionary, or click here (taking you to the Vocabulary Section: ‘Less-Common Words, Item 8) – and by doing this you have learnt a word – a very good and useful word for the IELTS test. There, that’s the beginning. You have learnt something – through my help and this website, because this website is in English. Now KEEP GOING! As I say at the start of all my IELTS books, ‘This is how you ‘pass’ the IELTS test. You could begin by exploring the pixnet. There’s a guide to this below. … for a MOUNTAIN of IELTS-related material, to help you keep travelling on that road. The blog has three main sorts of entries, as shown below. Click on these titles to go directly to the specific site. Many of my students get high IELTS scores. A few of them are kind enough to share this news, with recommendations and suggestions, on PTT. When this happens, we copy it from PTT onto our pixnet as a post. 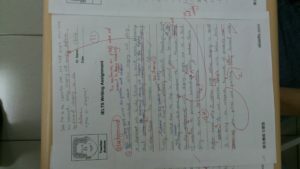 These posts are all written in Chinese, so you can easily read what other students have said about me, about IELTS, and about preparing for it. If you want real and honest feedback, you must read these. This contains articles and advice (written in Chinese) on the IELTS test, English-language learning, and being an intelligent consumer. If you really want a foundation to an IELTS 7, you must read these. The Language Learning Posts generally look at grammar, collocation, and concision, by presenting easily-read posts with exercises and answers in a series of defined length e.g. (1 of 16). The Consumer Advice Posts help you become someone who will not be tricked, and who knows what good language teaching should be like. 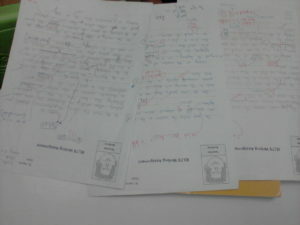 Click on these photos to see (1) how many corrected IELTS writings this student has, and (2) how thoroughly it is corrected. This client has six Task Ones …. This is just ONE of the corrected IELTS writing answers (a Task Two). 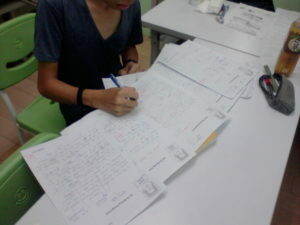 My correction is in red, with the client having to learn from this, writing in blue. To repeat, all the writings are meticulously corrected. 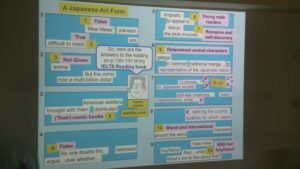 Answers to the Reading Passages can be efficiently given, and analysed. 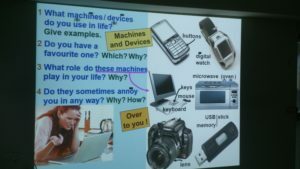 A speaking/vocabulary Powerpoint, on a very IELTSy topic.